Hello my darlings! 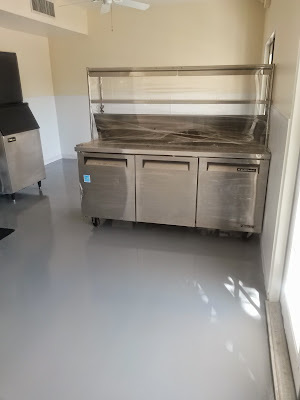 It has been a crazy couple of weeks as we're busting out all the stops getting things together for the Bistro. Here's where we are so far on the interior. The rest of the equipment is coming really quickly! The floors, walls and electrical are all in place. There's been a slight delay on the opening date so keep checking back...it should be in the next couple weeks. 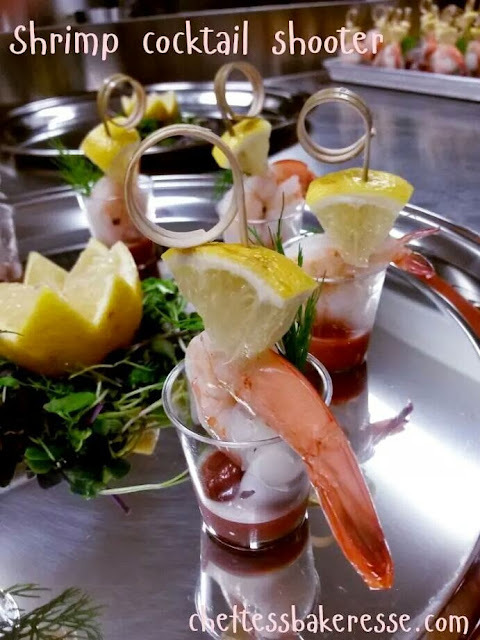 When I haven't been in the kitchen working on perfecting the new menu at Stonebridge Manor we've been catering some remarkable and beautiful weddings. Thing have been so wicked-fun! Benjamin is super easy to work with, quick to smile, and totally professional. Seriously. What's not to love? Look at him. He's just a freakin' fun dude! Yup. 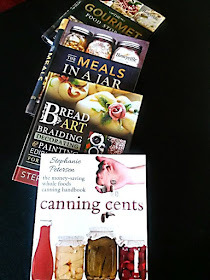 I've finally found my match in crazy-weirdness in the kitchen. Big things ahead with this guy! So, here's the simple recipe for the potatoes. They're perfectly cheesy and loaded with awesome flavor. Make the gratins: combine the first 5 ingredients in a large bowl. 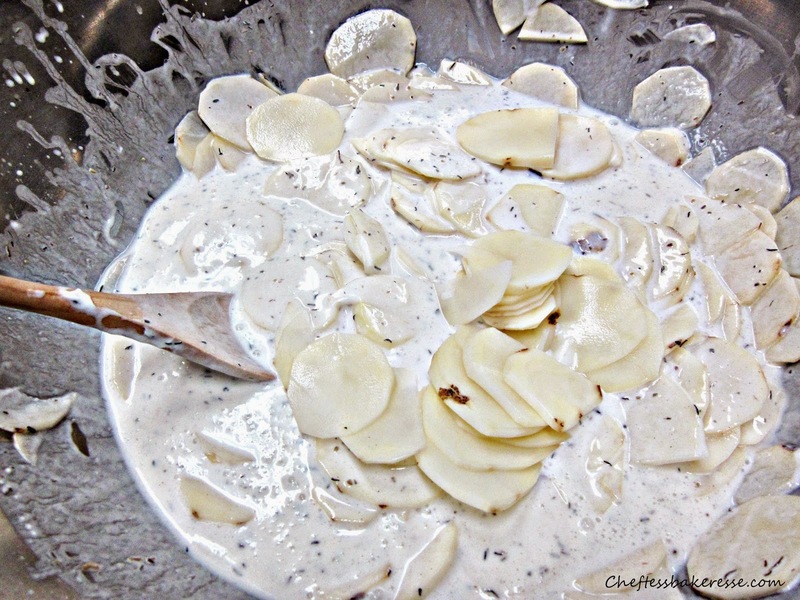 Making sure to Prep and assemble the sour cream, milk, salt and flour in a bowl before slicing potatoes (so they don't brown). 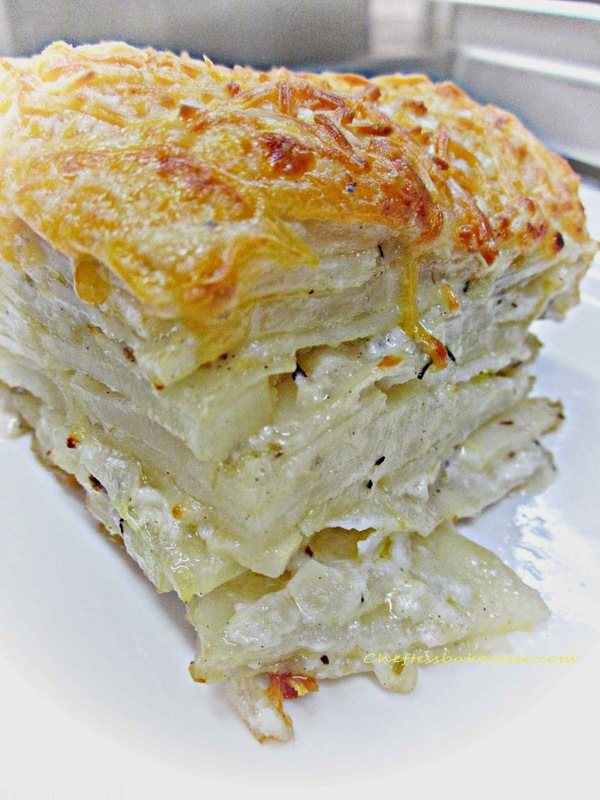 Do not store sliced potatoes in water or the gratin will be watery and flavorless. 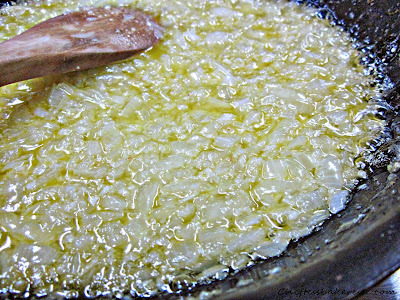 Saute the minced onion and garlic in butter until fragrant, about 5 minutes. Add thyme, fennel seeds and pepper. Add the sauted onion mixture into the potato mixture. 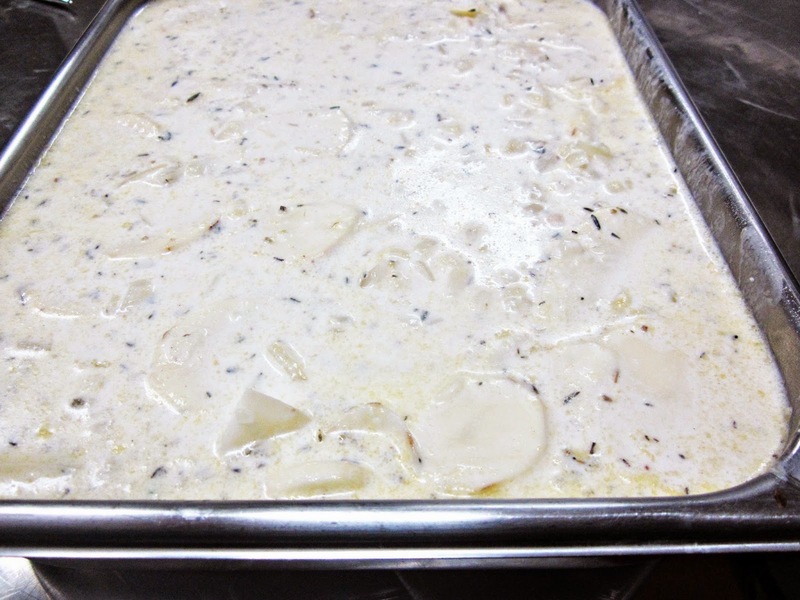 Turn bowl of potatoes into a 9 by 16 inch GREASED baking dish, pressing the potatoes into a flat even layer. 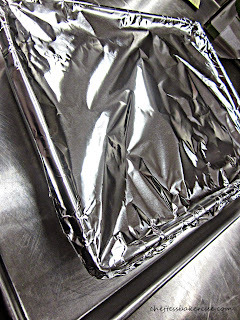 Cover the dish tightly with foil and bake at 375 degrees 1 hr 45 minutes. 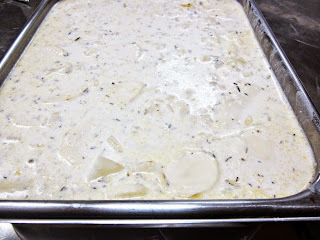 Transfer the gratins from oven to a cooling rack. Cool uncovered 45 minutes. 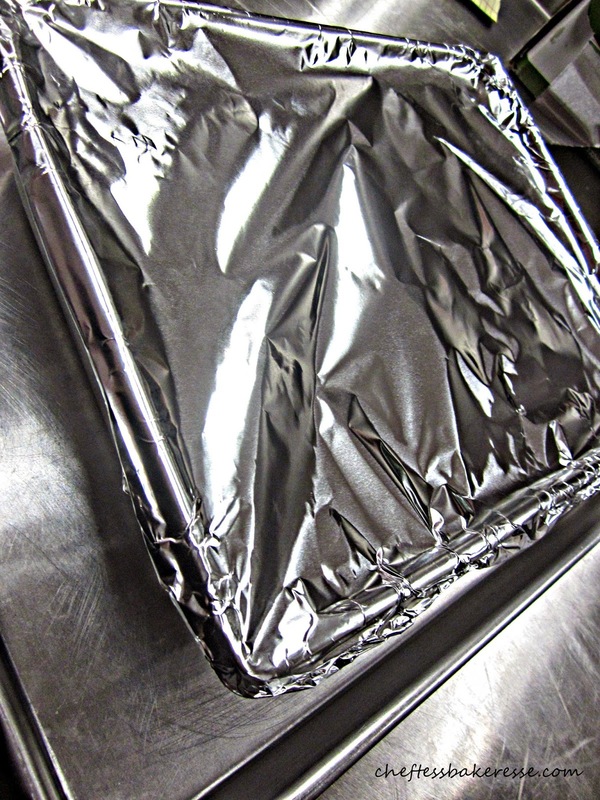 Cover with plastic wrap and keep refrigerated up to 3 days. For service: Remove from the fridge and allow to warm to room temp (about 45 minutes) remove the plastic wrap. 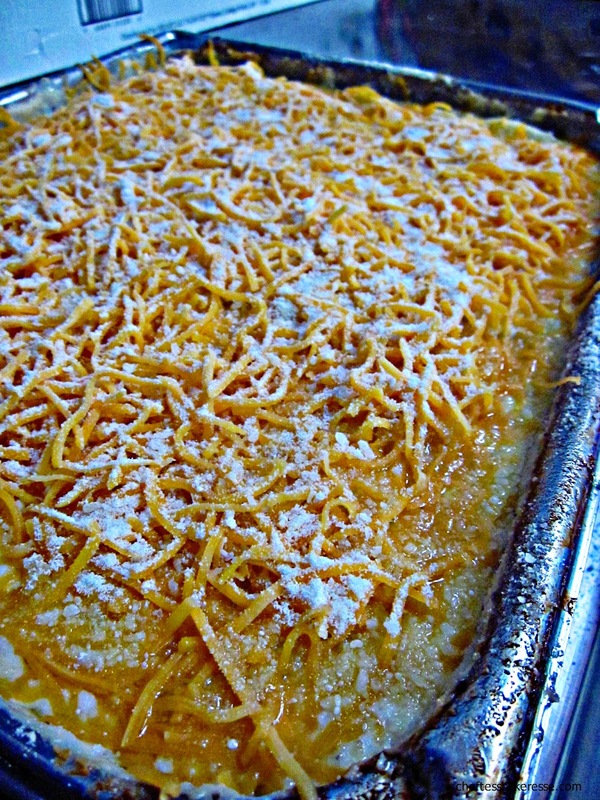 Bake at 450 degrees uncovered for 25-30 minutes until cheese is golden brown. There you go my darlings! 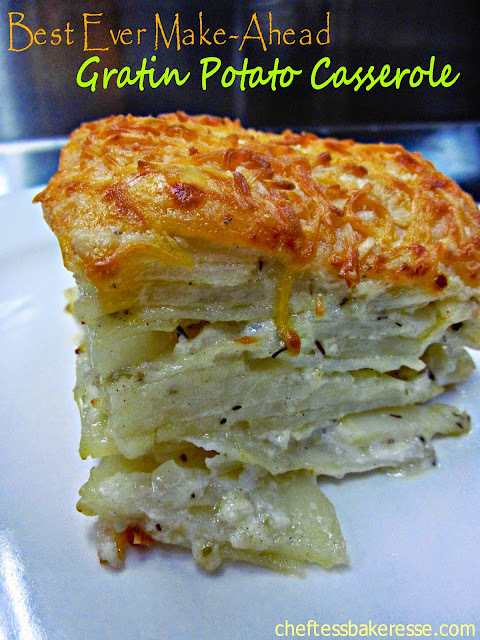 Make some great potatoes!